Today is Saturday, April 13th, 2019, and these are your news and notes. 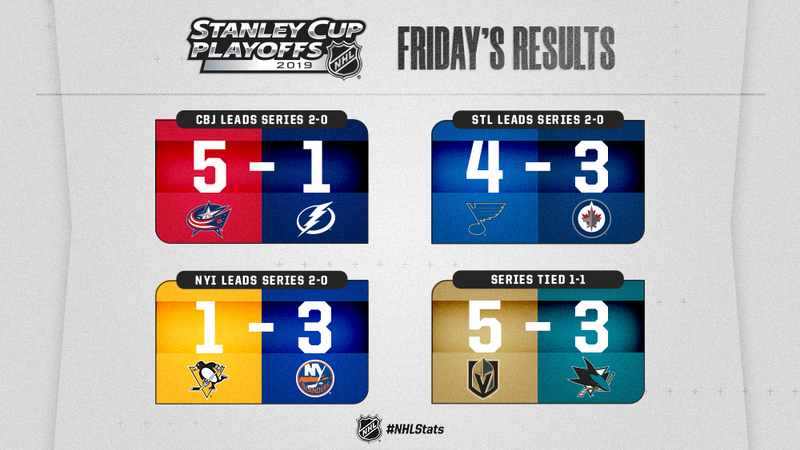 There were four games in Stanley Cup Playoff action yesterday. All of the recaps are written by the TXHT staff. The Columbus Blue Jackets crushed the Tampa Bay Lightning with a 5-1 win and took a 2-0 series lead. Columbus will look to take a commanding 3-0 series lead when Game 3 takes place tomorrow night. The NY Islanders defeated the Pittsburgh Penguins 3-1 and took a 2-0 series lead. The Islanders will look to take a commanding 3-0 series lead with Game 3 shifting to Pittsburgh. Game 3 takes place tomorrow afternoon at 12 p.m., ET. Below you will find the Pittsburgh Penguins infographic from yesterdays contest and the image is the property of the Pittsburgh Penguins, NHL, NHL Public Relations, and their respective owners. The St. Louis Blues defeated the Winnipeg Jets 4-3 yesterday and took a 2-0 series lead. The Vegas Golden Knights would go on to take Game 2 in the series after giving up a three goal lead in the first period and defeat the San Jose Sharks 5-3. The Golden Knights will look to take the series lead with Game 3 taking place tomorrow (Sunday, April 14) at 10 p.m., ET. 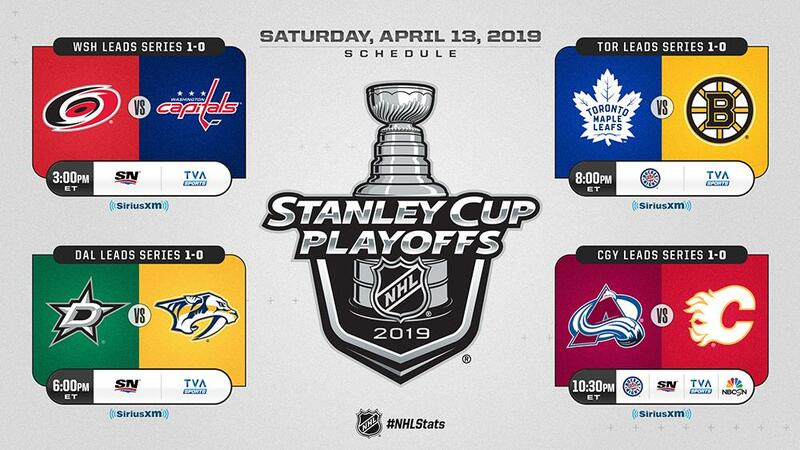 To see all of the THXT’s recaps and Stanley Cup Playoff previews, please check out our website linked below.